Are You "Fit" Enough To Be Future Fit? Home > Insights > Are You “Fit” Enough To Be Future Fit? Are You “Fit” Enough To Be Future Fit? We released Forrester Future Fitness just over a week ago, and the good questions keep rolling in. People are intrigued, many of them for the reasons that motivated us in the first place to create the future fitness concept and tool. First things first, if you need an overview of what future fit is, I have a big-picture view at this blog post, which then points you to all the things you can do to engage with future fitness, including taking your own fitness test. The question behind today’s post is as literal as it appears. When I ask if you are “fit” enough to be future fit, the first “fit” refers to your physical health. We hypothesized that physical health would contribute meaningfully to future fitness because of the reams of literature that show how physical health influences mood, anxiety, neuroticism, and other intermediate determinants of your ability to get up and do stuff you care about. 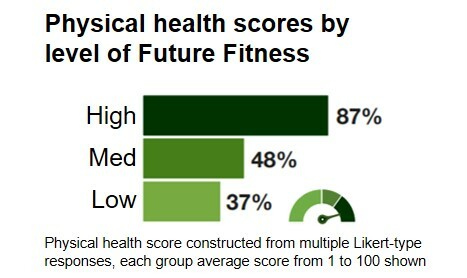 As you can see from the below figure I abstracted from our report, “Introducing Forrester Future Fit,” people who score high on future fitness also score higher on our scale of physical health. Or, put it the other way around, the healthier you are, the more fit, the more prepared you are for the future — more than twice as fit, technically, if we compare the low group to the high fitness group. Great, Another Reminder That I Need To Work Out! That’s exactly the response we’re trying to avoid, though it is inescapable to some degree. To help overcome this objection, it helps to explain what we’re talking about when we measure physical health. There are two ways to conceptualize health as measured in a survey. One requires getting some detail on your current vitals. Over the past year, we’ve tested ways to do this that are easy and reliable, focusing on metrics people might know such as their weight, their cholesterol level, and their diagnosed conditions. All of that is useful to know, of course, when you want to help someone improve their health. But it turns out that your current health stats are only slightly correlated with future fitness. Much more important is something we call behavioral health. Using this method, which we also tested for the last year, we don’t ask you about your stats; we ask you about the health-related behaviors you may currently engage in. These include many of the behaviors you know about: what you eat, how often you exercise, and whether you avoid smoking. With just a short list of questions, we can construct a behavioral health scale that scores people from 1 to 100. That is the physical health scale shown in the above figure as a percentage. And as you can tell, it is this behavioral scale that really packs a predictive wallop. This is encouraging. First, it means that if you have a specific malady, that’s less important because it’s less predictive of your future fitness than what you choose to do today, despite whatever malady or condition you have. You want to be more future fit? Move more! 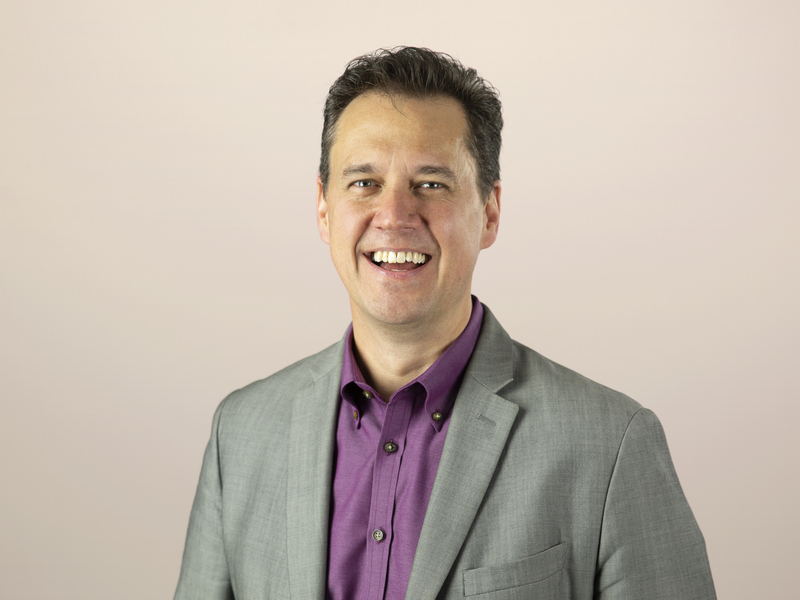 You want to be more ready to embrace the technology experiences and tools coming at you? Eat less junk. So powerful is this scale that it is very sensitive to even small changes in behavior. Increase your exercise from once a week to 2–3 times a week, and your physical health score will rise significantly. Add some fresh vegetables more than once a week, and the score goes up even higher. If you are willing to change how you eat or move, chances are very good that you will also be willing to change how you solve the problems of the present using the tools of the future. Let’s go climb this ladder.